NACP was pleased to introduce Maria Callava as the featured CA for March 2017! I have worked as a VA almost 5 years, but have worked in the legal field for almost 30. Where do you practice as an advocate now? In the Office of the District Attorney in DeKalb County, GA.
What do you see as the benefits of credentialing? Well, in order to obtain credentialing we have to attend periodic trainings which obviously better prepare usto serve victims. Naturally, this is our primary goal but credentialing also gives you an advantage to advance in your career path as an Advocate. In addition, I believe it confers more credibility and respect to our work. How have others reacted to your credential? My family, of course, is proud of me. And I know that peers and other aspiring VA’s have discussed the process with me as a means to gain knowledge and advancement in the field of victim advocacy. I am convinced that Supervisors welcome credentialing as added prestige to our Unit. Do you have a story related to your proudest moment as a CA or credentialed advocate? I know I have been able to confidently serve these victims due to the knowledge and experience I have gained through my credentialing training as well as my advocacy work. NACP was pleased to introduce Rosemary Raiman as the featured CA for April 2017! ROSEMARY: Over two decades. I had my very first introduction to Domestic Violence training in 1983 in Delhi, NY with the SAV program. Since that time, I started serving actively (1995) on DV, DSS, MNADV and FRT Boards, worked as a Victim Advocate and presently serve as the DV Coordinator. I founded a Silent Witness Program for survivors/ families in our county in 1999 and volunteered as a crisis responder for the Victim Advocates office at our County Sheriff’s Office. 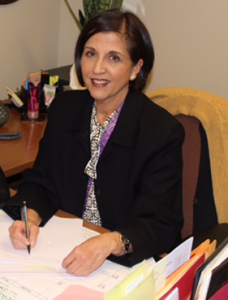 ROSEMARY: I presently serve as the Domestic Violence Coordinator at the Charles County, MD State’s Attorney’s office, and in my private life, I coordinate Advocates Working for Victims in Crisis (Silent Witness program) as an all-volunteer project. ROSEMARY: The more education I have the better prepared I am to assist victims as they navigate the legal system. Networking with other county and state colleagues brings a great connection for meeting the sheltering needs for my clients and gaining new ideas for safety planning and available resources. Credentialing has boosted my confidence to take on leadership roles in working for Victims’ Rights. I feel more comfortable presenting in front of my colleagues and taking the lead in starting our county’s Fatality Review Committee. They have been very interested and impressed. I have earned a level of respect from colleagues, attorneys and judges for the knowledge I have and for the work they have seen me complete. I’ve been invited by the judges to provide lunchtime training about DV, and others in the Courthouse call on me to help with a variety of problems, usually to provide crisis intervention to someone in need. Approximately two years ago, the Charles County Commission for Women started a Clothes Closet for victims of domestic violence and sexual assault. They gave me the honor of naming this resource for clothing Rosemary’s Closet, due to my years of victim service. I am so proud of this and often collect items from my courthouse colleagues to deliver to the closet located at LifeStyles, Inc.
ROSEMARY: Yes! My credential hangs on my wall and although I have many certificates, I am very proud of this one. Why wouldn’t someone display the certificate and use the CA after their name? This gives us credibility in our field and when the victims I serve and my colleagues see it, they know I have the knowledge and skills to do this work. These relationships with colleagues and in the example above, my dentist, are enhanced by my training, my work and my credential – all of which give me the professional credibility as a victim advocate. 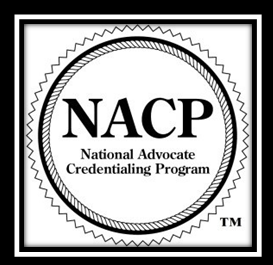 I am proud to be among the first 200 NACP credentialed advocates in the country and one of only 7 in Maryland when I received my NACP credential in 2006. NACP is pleased to introduce Sarah Burke as the featured CA for Summer 2017. SARAH: I have worked in the victim services field for 10 ½ years. 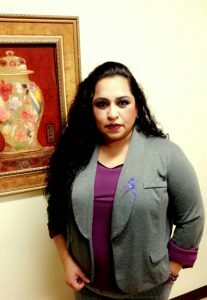 I have been with the Family Violence Prevention Center of Greene County (Domestic Violence Shelter) for all 10 ½ years. My first position was as a Crisis Intervention Specialist. I then moved into the current position of Child Development Specialist. 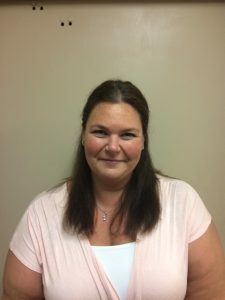 SARAH: I have been fortunate enough to be able to still be at the Family Violence Prevention Center of Greene County (Domestic Violence Shelter). SARAH: For me the benefits of credentialing are great because I do not have my Social Work or Counseling license. But with the CA credentialing, it shows that I have the experience and knowledge in the field. The more education I have, the better I can serve the victims that I work with. SARAH: I have earned a level of respect from my colleagues in the field. I have to thank my work colleagues for supporting me in reaching my goal of getting my CA credential. SARAH: Yes! My credential hangs on my wall with my other credentials. I am very proud of my CA credential and I use CA after my name because I want everyone to know what hard work I’ve done to get my CA. SARAH: There have been many over the years but this one will always be with me. One quiet Saturday afternoon I was in the kitchen cleaning. One of the clients asked if she could help me in the kitchen because she was bored. I accepted her help as we cleaned the kitchen up. We started talking about everything under the moon and began laughing more than we were cleaning. As we got done with cleaning up the kitchen, I thanked her and moved onto my next task. The next day I worked, there was a card waiting for me. I opened it up and it was a thank you card from the client that helped me in the kitchen. In the card it said, “I just wanted to thank you for a fun Saturday afternoon of cleaning up the kitchen and for talking to me like a person. You did not treat me like an object and did not get mad or yell at me for breaking a cup, you just laughed about it and helped me clean it up. You reminded me that it’s good to laugh.” The card made me stop and think about the little things in life and what we take for granted. I still have the card and if I’m struggling, I get the card out and reading it reminds me why I do the work that I do at FVPC. I think the client did more for me than I did for her. NACP is pleased to introduce Rosie Martinez as the featured CA for Summer 2017. ROSIE: I have been in the victim services field for the over 17 years. 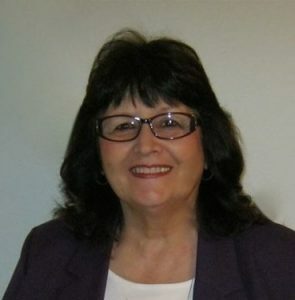 I have developed and implemented regional victim assistance programs to provided services to victims of family violence, sexual assault, child abuse, teen dating violence, survivors of homicide victims, stalking, and human trafficking in Hidalgo, Cameron, Willacy, Brooks and Starr Counties in Texas. I started my career in victim assistance with the Hidalgo County Juvenile Probation Department working with first time and then worked as a Legal Advocate with Mujeres Unidas for 8 years helping victims with protective orders, immigration relief, crisis intervention, support services, emergency shelter services, Crime Victims Compensation. I also worked as the Criminal Justice Planner for the Lower Rio Grande Valley Development Council of Government where I worked with the Criminal Justice Division Grants of the Office of the Governor of Texas. ROSIE: My current position is the Victims Unit Director for the Hidalgo County District Attorney’s Office. ROSIE: I am very passionate of the victim services filed and I believe that this filed is very important and all Victim Advocates should be credentialed. The service they provide is a professional service that assists victim recover from the after math of crime. During my career in Victim Services I have seen many Victim Advocates that dedicate their lifetime to this field and their work should be recognized just as any other profession. The NACP is an excellent way to show that you are capacitated to perform the duties in a professional capacity. ROSIE: Other colleagues and victim advocates have designated me as the expert in my field because of my national credential and years of service. I always encourage Victim Advocates to apply for the CA so they can be proud of their accomplishments and training. ROSIE: Yes! My credential hangs on my wall as the most important achievement I have received. . I am very proud of my CA credential and I use CA after my name because I want everyone to know what hard work I’ve done to get my CA. I also use this designation on my social media presence so that others can see that Victim Advocates are professionals that can achieve credentials. ROSIE: The National Organization for Victim Assistance awarded me the national honor advocate award in the category of Pioneers in Advocacy for the advancement in victims’ rights in our region. In addition, the Senate of the State of Texas passed a Proclamation to recognize my career in victim services and the NOVA Honor Advocate Award. The Hidalgo County Commissioner’s Court passed a resolution as well. I have attached both for your review. In addition, I was recognized as by the Texas Council on Family for my leadership and life’s work to empower other women.